“getting into the mass of Blood . . . was quickly, by the circular motion of That, carry’d to the Brain, and other parts of the Body. So that we had scarce unty’d the Dog . . . before the Opium began to disclose its Narcotick Quality, and almost as soon as he was upon his feet, he began to nod with his head, and faulter and reel in his pace, and presently after appear’d so stupifi’d, that there were Wagers offer’d his Life could not be sav’d”. As it turned out the dog did recover.Recovery was achieved by causing the dog ‘to be whipp’d up and down the Neighboring Garden, whereby being kept awake, and in motion, after some time he began to come to himself again’. The dog was ‘carefully tended, began to grow fat’. This experiment and ‘some other tryals’ made the dog famous throughout the country and it was eventually stolen! which I fear there is hardly any opiate will performe. However, it would be about 200 years before his suggestion was actually put into practice. Nevertheless, Boyle’s insights into the potential medical use of poisons would echo down through the years. “sickness, vomiting, purging, giddiness, confused vision, objects appearing green and yellow; increased secretion of urine, with frequent motions to part with it; and sometimes inability to retain it; slow pulse, even as slow as 35 in a minute, cold sweats, convulsions, syncope, death”. Between 1775 and 1784 Withering carefully studied the effects of digitalis on 163 patients suffering from heart failure and oedema , gradually increasing his experience of the drug, the best way of preparing it ,the correct dosage to use, the problems associated with its use and other issues . He noted the clear diuretic effects of the drug and also observed that digitalis had “a power over the motion of the heart to a degree yet unobserved in any other medicine.” Today, Withering’s work is considered to be a landmark in the history of therapeutics. 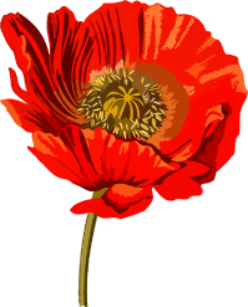 Poppy, Foxglove and Deadly Nightshade: Poison or Panacea? Rapid advances in science occurring during the period from the 17th to the end of the 19th centuries subsequently resulted in numerous other examples of producing valuable therapeutics from potentially poisonous natural products. One good example is the case of Atropa Belladona or the Deadly Nightshade. These names clearly indicate both the usefulness and poisonous nature of the plant. The name “Bella (beautiful), donna (woman)” refers to the use of the juice of the plant to dilate the pupils and so make ladies in Renaissance Florence more beautiful. On the other hand, the common name Deadly Nightshade, really speaks for itself. In fact, Deadly Nightshade is one of a group of solanaceous plants including Black Henbane (Hyoscyamus Niger), Mandrake (Mandragora Officinarum) and Jimsonweed (Datura Stramonium) all of which produce potentially deadly effects owing to their content of the tropane alkaloids hyoscyamine (atropine) and hyoscine (scopolamine). All of these plants have an extensive folk history which involves their many magical, hallucinatory and potentially deadly effects. Nevertheless, it was gradually recognized that they might also have useful therapeutic actions if the correct dose was employed and they eventually became some of the most widely used drugs in medicine. Literally thousands of chemical derivatives of atropine and scopolamine have been produced over the years and have found an enormous number of uses in medicine. Their clinical applications include activity as bronchodilators for the treatment of asthma, as antispasmodics for reducing spasms of the stomach, intestine and bladder, increasing the output of the heart, reducing salivary output or sweating, alleviating the symptoms of motion sickness, as a premedication for anesthesia, as an obstetrical analgesic, producing sedation during delirium tremens, psychosis or mania and in the treatment of Parkinsonian tremors. There have been many attempts to improve on the therapeutic profiles of atropine and scopolamine and some of their derivatives have been very successful. For example, the atropine derivative Ipratropium is useful as an inhalant for treating asthma as it is poorly absorbed into the blood and so its action is mostly directed toward the lungs giving it a low side effect profile. We should also perhaps not forget the attempts made by the CIA to use ultrapotent derivatives of atropine for producing “brain washing” as part of its top secret anti-communist MK-ULTRA program in the 1960s! The examples discussed above illustrate the principle that the effects of a drug may be radically different depending on the dose or route of administration. However, probably the most extreme example of this phenomenon concerns the use of botulinum toxin. These developments began with events that took place in the Wurttemberg area of Germany towards the end of the 18th century when several severe incidents of what appeared to be food poisoning occurred. Some of these produced fatalities as in the village of Wildbad in 1793, where 13 people were taken ill with severe paralysis and 6 of them died. After several outbreaks of this type the local authorities began to suspect that the poisoning was associated with a local speciality consisting of a pig’s stomach stuffed with blood sausage and, in 1802, the local government issued a warning about the consumption of this dish. By this time the large number of incidents of “Sausage Poisoning” had attracted the attention of leading medics at the University of Tubingen who began to collect reports from far and wide on the characteristics of the syndrome in order to try and determine how it was caused. One person who became involved was a young medical officer named Justinus Kerner who eventually published a paper on the topic. The title of his publication was “New observations on the lethal poisoning occurring so frequently in Wurttemberg through the consumption of smoked sausages”, which summarized observations he had collected on 76 victims. In an early example of government funding for medical research, the local government awarded a grant to Kerner allowing him to follow up on his observations on the characteristics of the deadly sausage poison. He responded with what was really a model of excellent medical research. Kerner’s work included a complete description of the symptoms of the poisoning which included diarrhea, stomach cramps, vomiting, intestinal paralysis, dry mouth, reduced secretion of tears, sweat, nasal mucus and earwax, atonia of the oesophagus, the stomach, and the bladder, dilation of the pupils and paralysis of accommodation, ptosis, diplopia, paralysis of pharyngeal and respiratory muscles and generalized weakness. Kerner also conducted numerous experiments on the chemical composition and isolation of the sausage poison and came up with ideas as to its mechanism of action and treatment of the syndrome that it caused. He even made suggestions as to how the toxin might actually be used as a beneficial therapeutic agent something which ,as we shall discuss , turned out to be highly prophetic. Kerner was able to take extracts of the deadly sausages and inject the resulting fluid into a variety of animals which then exhibited similar symptoms to human victims Indeed , so keen was Kerner to identify the true principle of the sausage poison, that he even got around to testing some of the extracts on himself which apparently made him horribly ill. Fortunately, he didn’t take enough of the extract to actually kill himself. On hearing what he was doing his friends and colleagues were aghast and urged him to stop his self-experimentation immediately. In what for the time must really be considered a brilliant scientific insight, Kerner hypothesized that the toxin acted by blocking the function of the nerves of the somatic motor and autonomic nervous systems. He wrote: ‘‘The nerve conduction is brought by the toxin into a condition in which its influence on the chemical process of life is interrupted. The capacity of nerve conduction is interrupted by the toxin in the same way as in an electrical conductor by rust”. Overall ,he summarized his findings as follows (1) the toxin develops in bad sausages under anaerobic conditions; (2) the toxin is a biological substance; (3) the toxin is strong and lethal even in small doses; and (4) the toxin acts on the motor and autonomic nervous system. He went on to suggest something entirely original- that if the toxin could be isolated then it might actually be useful in medicine. Considering that some diseases are caused by the “over activity” of nerves , tiny amounts of pure toxin might be applied to specifically block the effects of these nerves in particular ,leaving the rest of the body unaffected. He wrote, “The fatty acid or zoonic acid administered in such doses, that its action could be restricted to the sphere of the sympathetic nervous system only, could be of benefit in the many diseases which originate from hyperexcitation of this system” and “as an analogy it can be expected that in outbreaks of sweat, perhaps also in mucous hypersecretion, the fatty acid will be of therapeutic value.” Kerner was an altogether brilliant person and “Kerner’s Disease” became well known to the public as did his Romantic poetry which was admired by many people including Heinrich Heine. At some point a new name for the disease was suggested. The Latin for a sausage is botulus and so the disease became known as botulism. However, Kerner was never able to completely isolate the toxic principle responsible for botulism and was never able to solve the mystery of exactly what caused the disease to occur in the first place. In 1895, however, there was a severe outbreak of botulism in the Belgian village of Ellezelles. The local brass band, after playing at a funeral, all ate together at an inn. Soon all 34 members of the band were horribly ill with the symptoms of botulism and 3 of them died. The major content of the meal, a preserved ham, was taken to the University of Ghent where it was analyzed by Emile Pierre Marie Van Ermengem the Professor of microbiology. Van Ermengem was a student of the great Robert Koch, one of the original founders of the science of bacteriology. Using his training Van Ermengem isolated a new bacterium from the pickled ham which he named Bacillus Botulinus. The same microorganism was also isolated at autopsy from some of the victims who had died, further suggesting that it was actually the cause of the poisoning. At a later point the bacterium was renamed Clostridium Botulinum .Although a great deal has been learned about botulism and the microorganism that causes it during the 20th and 21st centuries, it is very impressive just how accurate the work carried out by Kerner and his colleagues in the 19th century proved to be. But how exactly does the bacterium produce these toxic symptoms? The answer is precisely as Kerner originally surmised when he invoked the effects of a “sausage poison”. C. Botulinum does indeed produce a toxin which is responsible for its effects. And it’s not just any old toxin. “Botulinum toxin” (BoNT) is the most potent toxin known to man. Amounts as small as 0.05 micrograms can be lethal. Considering that a microgram is only one millionth of a gram this is a very small amount of material indeed. In 1949 Arnold Burgen and his colleagues carried out a classic series of experiments in which they measured the effects of the toxin on the ability of nerve stimulation to produce contraction of rat diaphragm muscles. Normally the neurotransmitter acetylcholine is released by nerves that cause this muscle to contract during breathing. However, Burgen et al. observed that addition of the toxin produced a time-dependent reduction in the effects of nerve stimulation indicating that it somehow interfered with neurotransmission from cholinergic nerves. Further progress in determining the mechanism of action of the toxin had to await its purification. After the end of World War II, the US government became interested in the use of BoNT for biological warfare purposes and set up an extensive laboratory for the development of biological weapons at Camp Detrick in 1942 (It was renamed Fort Detrick in 1956) . Investigations on the purification and properties of BoNT was certainly a key project carried out at these laboratories. In 1946 a team led by Dr Carl Lamanna succeeded in purifying and crystalizing BoNT-A, one of the subtypes of the toxin. This work was followed up by Dr. Edward Schantz who worked on improving the purity and yield of BoNT-A as well as isolating other toxins such as the paralytic shellfish poison saxitoxin. When Fort Detrick was closed in 1972 Schantz moved his research program to the University of Wisconsin. At the same time that Schantz was working on the purification of BoNT, Dr. Alan B. Scott, an eye surgeon at the Smith-Kettlewell Eye Research Institute in San Francisco was working on strabismus (“crossed eyes”), a condition in which the two eyes do not align properly when they are trying to focus on an object. Scott was looking for something that he could inject into the hyperactive eye muscles that were responsible for producing this phenomenon as an alternative to the normal use of surgery. In order to investigate this possibility Scott had set up an animal model of human strabismus using rhesus monkeys in which he could potentially test different substances. He tried several things but found that they didn’t work. Through a roundabout series of events Scott heard about what Schantz was doing and got in touch with him. Schantz sent Scott a sample of BoNT-A. He injected tiny quantities of it into the ocular muscles of the monkeys and was able to report great success in relieving the symptoms of strabismus which, in keeping with other known effects of BoNT-A, lasted for a considerable period of time, usually from 2- 8 weeks following a single injection. In his landmark paper, Scott suggested that BoNT-A might “replace or augment existing methods of surgical correction of strabismus.” Six years later Scott published results showing that he could use BoNT-A to correct strabismus in humans as well. The effects were seen 4 to 5 days following the injection and lasted for many weeks. Based on these results, it was suggested that BoNT-A might also be useful for treating other ophthalmic issues such as blepharospasm , a condition associated with abnormal closing or twitching of the eyelids. However, nothing like BoNT-A had ever been used before in medicine. It simply wasn’t a normal sort of drug and the Food and Drug Administration (FDA) had no experience as to how to deal with it. A completely new set of rules had to be set up before it could be widely used in humans. But Scott and Schantz persevered and, after about 20 years of development, the FDA approved BoNT-A in December 1989 as an orphan drug for strabismus, blepharospasm, and hemifacial spasm. Scott started a company called Oculinum to commercialize BoNT-A and the company was soon taken over by Allergan, a much larger company. Allergan decided to change the name of its product and BoNT-A became “Botox”. Scott’s success using Botox was rapidly noted by physicians all over the world. In the UK the government research laboratory at Porton Down (a sort of British version of Fort Detrick) began supplying British doctors with BoNT-A who then extended its use to the treatment of diverse forms of dystonias– disorders in which overactive muscles produce twisting and other abnormal movements. Here again their efforts were met with immediate success. Porton Down developed a product which they named Dysport (from Dystonia/Porton Down) which was used to treat a variety of dystonia like conditions including blepharospasm, hemifacial spasm, cervical dystonia, Meige syndrome, oromandibular dystonia and writer’s cramp. It was now clear to everybody that a new principle in medicine had been developed. So many biological processes are produced through the specific actions of nerves and overactivity of these nerves can produce all kinds of problems. Now a focal application of Botox could be used to precisely manipulate nerve function in a therapeutic manner-just as originally suggested by Kerner. So many applications could be imagined. Apart from uses in ophthalmology, there were numerous potential uses in neurology (dystonias, spasticity, tics, hypersalivation, and pain),urology (overactive bladder conditions), gastroenterology (achalasia, spasms),otorhinolaryngology (dystonias) and many other indications. One significant use of Botox ,which is catching on at a particularly fast rate, is to reduce sweating and “body odor”. Since the first approval of Botox by the FDA its successful use in many of branches of medicine has really constituted something of a medical revolution. Moreover, as researchers discover more and more variants of botulinum toxin or apply molecular biological techniques to modify their properties even further, one can imagine an incredible number of new applications in the future. We now know that botulinum toxins act as tiny molecular scissors that can specifically cut proteins important for the release of neurotransmitters and can consequently be used for molecular surgery , specifically inhibiting the functions of key nerve populations. Of course, these medical applications of Botox are only half the story.The other half concerns the use of Botox as an enabler of cosmetic surgery. What began as a recherché medical procedure used by superstar models has now become something that virtually any woman (or man) can afford. Botox parties are just the thing for getting together with your friends,having a few drinks and divesting yourself of your wrinkles. Robert Boyle would not have been surprised. William Withering’s legacy–for the good of the patient. Clin Med (Lond). 2006 Jul-Aug;6(4):393-7. A note on the use of topical digitalis prior to William Withering. Groves MJ1, Bisset NG. J Ethnopharmacol. 1991 Dec;35(2):99-103. Dorrington KL1, Poole W. Br J Anaesth. 2013 Jan;110(1):7-12. doi: 10.1093/bja/aes388. Epub 2012 Nov 15.